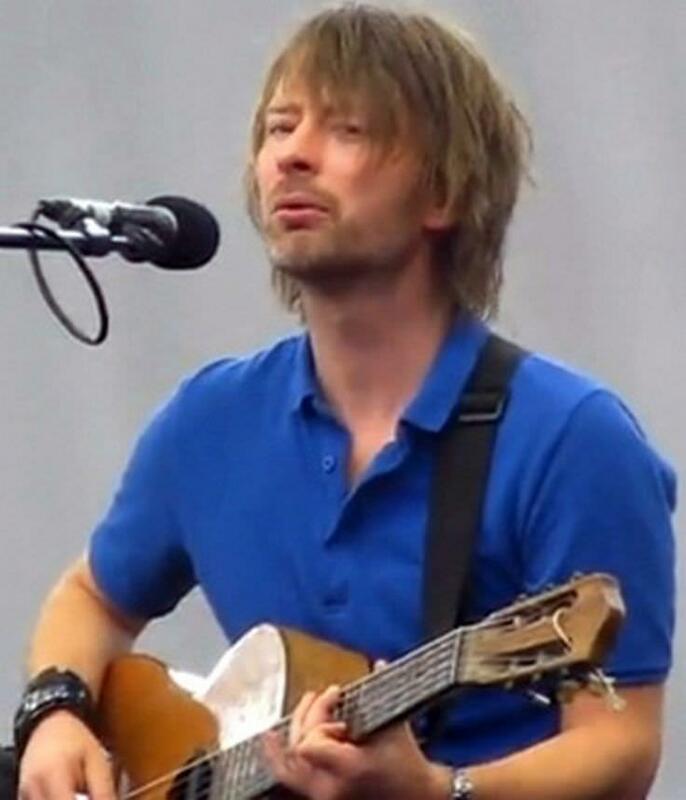 A screenshot from a fan-made video of Yorke at the Latitude Festival, 2009. Thom Yorke is an English singer and musician. He is best known as the frontman of the alternative band Radiohead. He has released 2 solo albums and 8 albums as a Radiohead member. He has collaborated with many artists, such as Bjork, PJ Harvey and DJ Shadow. Rolling Stone magazine ranked him at No 66 on their list with the greatest singers of all time. He has won 3 Grammy Awards with Radiohead, while the band has been nominated for 16 Brit Awards and 4 Mercury Prizes. He and his partner have a son and a daughter. He practices yoga and meditation. Thom Yorke is a famous English singer and musician, who was born on October 7, 1968. As a person born on this date, Thom Yorke is listed in our database as the 5th most popular celebrity for the day (October 7) and the 25th most popular for the year (1968). People born on October 7 fall under the Zodiac sign of Libra, the Scales. Thom Yorke is the 136th most popular Libra. Aside from information specific to Thom Yorke's birthday, Thom Yorke is the 154th most famous English. In general, Thom Yorke ranks as the 1715th most popular famous person, and the 191st most popular singer of all time. “The Famous Birthdays” catalogs over 25,000 famous people, everyone from actors to singers to scientists to serial killers and more. If you're curious to see who was born on your birthday, you can use our database to find out who, what, where, when and why. You can search by birthday, birthplace, claim to fame or any other information by typing in the search box, or simply browse our site by selecting the month, the day, the horoscope, or any other clickable option.